Doctor Bleed, the pioneer of amateur surgery, is back from the dead. Help him solve the mystery of his sudden resurrection as he spans the globe looking for answers, and saves some unwitting lives along the way. 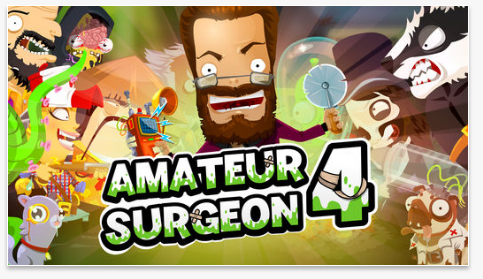 * Take on Field Hospital survival mode with high-speed surgery! Discover more about the history of Alan Probe & Doctor Bleed & the “Bleed Everywhere” Hospital Chain and team up with old and new friends, including a Badger who’s a dab hand at heart surgery and a Dog who knows a thing or two about healing cuts.